Vocational Project - Off and Running! 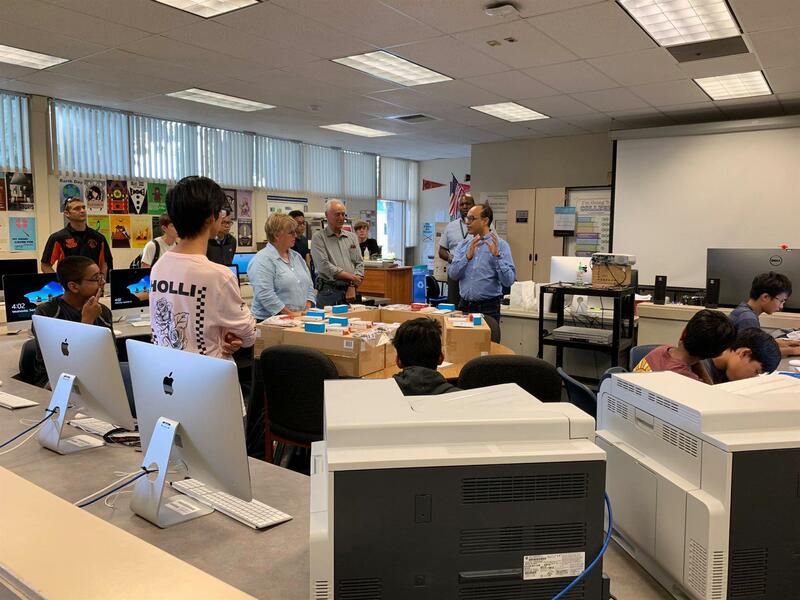 “For the first time in its 52-year history the Rotary Club of San Jose East/Evergreen is focused on creating an annual self-driving race car (SDRC) competition for high school students. Championed by president-elect Harbinder Sikka, our club brought cutting-edge autonomous vehicle high technology to students in the East Side Union High School District (ESUHSD). The majority of ESUHSD students belong to an economically disadvantaged family and represent demographics under-represented in the technology workforce. This initiative will provide exposure to career options in high technology. Students will utilize this new technology in a fun and engaging manner through a self-driving race car competition.